Buying a 2012 Toyota RAV4, and saving $1500 off of MSRP. This is the third vehicle I've bought from this particular sales rep. Because the dealership is 120 miles from me, he makes dealing easier for me by doing most of the preliminary negotiations over the phone. He has no problems accepting the CarCost approach to buying a new/used car - nor the black book values. I recommend Dan Lafreniere highly. I was placed in touch with 'Independent Vehicle Services'and agent Lisa Tsicolas. Simply put - what is your time worth? If you could find a person to take care of every aspect of finding you a new car from searching out exactly what you want in every detail, doing the negotiating, getting you the best deal for your trade in, to delivering the car right to your door, dealing with plates, snow tires, undercoating, extras - the whole package - wouldn't that be a treat? I ask you. Well I found one and to my astonishment the price was right and the talent was more than I could have hoped for. Here is my personal recommendation to anyone and everyone who just doesn't want the hassle of doing any of that - especially the negotiating with car sales people. (Sorry guys but I want someone who knows the tricks of the trade on my side). She is simply the most professional, knowledgeable, car savvy and superbly delightful person to deal with. The company's name is Independent Vehicle Services and the representative you'd consider yourself lucky to book as your car agent is Ms. Lisa Tsicolas. Her number is (416) 858-3616 Mobile: and (416) 740-8725 Office. (105 Ormont Dr. North York, Toronto - easy access via the 407). Consumer Reports test reports and previous experience with the brand and the dealer, especially their excellent service department, were important. The fact that the Rav is built in Canada also mattered, since there are no Canadian auto companies. 0% financing also factored in as we narrowed the choices of brands. It was a real incentive, as opposed to gimmicky electronic and service bonus packages that might or might not be of value. Having the Wholesale Price Report helped us to negotiate a price, rather than accept the price offered as we had always done previously. We feel we made a fair deal. I paid to become a member of Car Cost Canada. I used Car Cost Canada invoice prices to assist a friend in purchasing a 2009 Toyota RAV4. I wanted a reputable, fuel efficient 4WD vehicle that had the power to pull a fold-down (tent) trailer. For us, the RAV4 seemed to be the best option. We live in Sault Ste. Marie which has only one Toyota dealer (with the next closest being in Sudbury) so that option was limited, but fortunately, they are a reputable dealership. I offered the dealer $1000 above the dealer cost (provided by CarCostCanada). This was a markup of 3.7% and the dealer accepted. 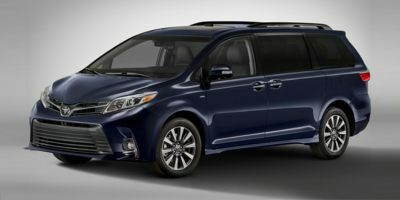 At the time of delivery, Toyota Corp. Canada was also offering a $500 Gas Card incentive. In effect, we saved another $500. 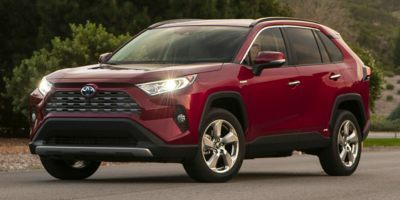 Buying a 2008 Toyota RAV4, and saving $5000 off of MSRP. Need to elevate price discussions to Mario Palumbo (GM) ... be prepared to walk away, it pays off. 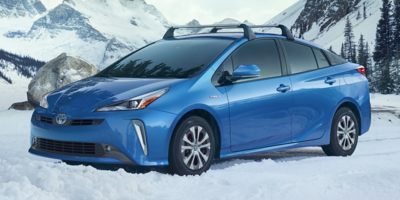 Leasing a 2010 Toyota Prius, and saving $2500 off of MSRP. Northside's the only Toyota dealer within 300km... so, yeah. I also considered a Ford Fusion Hybrid, but the residual was terrible 24% after 48 mos, and the lease rate was 12%. The Prius, by comparison, was 49% after 36 mos, and 3.9% lease rate. I wrote up an offer letter and handed it to my salesman before taking off on a 6 hour test drive. The letter specified the car I wanted, what the wholesale price was, what my offer price was, and what the dealer profit would be. The car I wanted was a 2010 Prius, Premium package, with leather seats, in silver. I also described my trade-in, a 2007 FJ Cruiser with 100Kkms, and set my price really high so I had some wiggle room. Canadian blackbook was $16-$19K. I said I wanted $21K, and would settle for $20K. I also said what the dealer stood to profit off that, if they priced it at $25K. After returning from the test drive, we sat down to negotiate. These were the results: - Northside accepted my offer on the Prius. - MSRP was $33,455. I got it at dealer cost... $31,320. Savings $2135. - So, no profit for the dealer on the new sale. - They gave me $20,000 for the FJ, $3000 over what they''d likely have offered. - So all the profit the dealer could make is on reselling the FJ (I figured $3K) - After paying off what I owed on the FJ, we used the $6K difference as a downpayment, resulting in a 36mo lease payment of $415/mo. As if that wasn't enough, they didn't have a silver Prius in stock with leather, so Northside had a local upholstery company re-do the interior in dark charcoal leather I would highly recommend using this approach for buying a car. By writing an offer letter, YOU set the starting point for price negotiations, rather than letting the dealer start off at MSRP. And as long as you list out in detail what the dealer profit is between the new sale and the trade-in, you can likely score a killer deal, like getting your new car at cost. 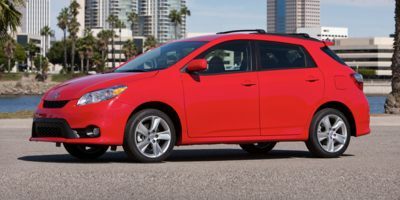 Leasing a 2010 Toyota Matrix, and saving $2500 off of MSRP.